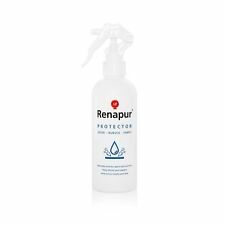 Renapur protector is the safest and most effective protector spray available – free of harming solvents, aerosols or any other aggressive substances. Renapur Protector is odourless, non-flammable and has no noxious vapours so can be safely used indoors. Your leather shoes resplendiront two-speed shoe shine with this polisher. Wall mounted this set is also equipped with a carrying handle for easy transportation. To do so it can be hung on the wall with the two openings at the back of the box. Bartscher 120109 Professional Electric Shoe Shine Machine. Bartscher 120109. Includes hopper for easy filling the shoe polish dispenser. Shoe polish dispenser with ball valve for 100 ml liquid shoe polish, unfilled. Crep Protect is easy to apply and quick drying. Crep Protect present the Rain and Stain Shoe Care Spray, versatile shoe protection that covers your shoes in an invisible, optically clear protective barrier, beading liquids to reduce stain and dirt deposits whatever the style. Waproo 9 Piece Deluxe. Waproo Leather Care Products. Ideal for travelling or as a gift. Applicator Brush– Black. Natural Polish brush – Black. Applicator Brush– Neutral. Natural Polish brush – Neutral. The Speedy Stitcher. The Speedy Stitcher can be used to sew any heavy material. Each Speedy Stitcher is Made in the USA. - Sewing Awl. point needles. - Straight Needle. - Curved Needle. -14m Thread. The 12 Tin of shoe polish. When you buy quality Leather, it's important to take care of it with protection and cleaning. The 12 Tin of shoe polish inc Brantano & cherry blossom & Boston. When you buy quality Leather, it's important to take care of it with protection and cleaning. GRANGERS | Outdoor Shoe & Footwear Cleaning Care Kit. Grangers are the specialists in cleaning your outdoor gear - Clothing, Tents and Footwear. Botanex began with a vision to provide discerning gardeners, landscapers and foresters with products online not always readily and easily available. Rare old tin (still has contents in it) Propert’s Waterproofing Oil The tin is in good condition. The top and cap are rusted and the base is pitted with rust. No visible dents. Payment is via PayPal only Postage is via Royal Mail Any questions, please ask. Buy with confidence. FLURO PAINT x6 BULK LOT SUPER BRIGHT COLORS FOR LEATHER & SYNTHETIC & CRAFTS !! An elegant and durable, leather case containing premium quality Waproo Leather Care Products. Ideal as a present for anyone who travels or as a gift. RM Williams Oilskin Reproofer - RRP 24.99. RM Williams Oilskin Re-proofer Spray - RRP 29.99.